Once again, Halloween has come and gone. It's officially November now. But hey, fear not! 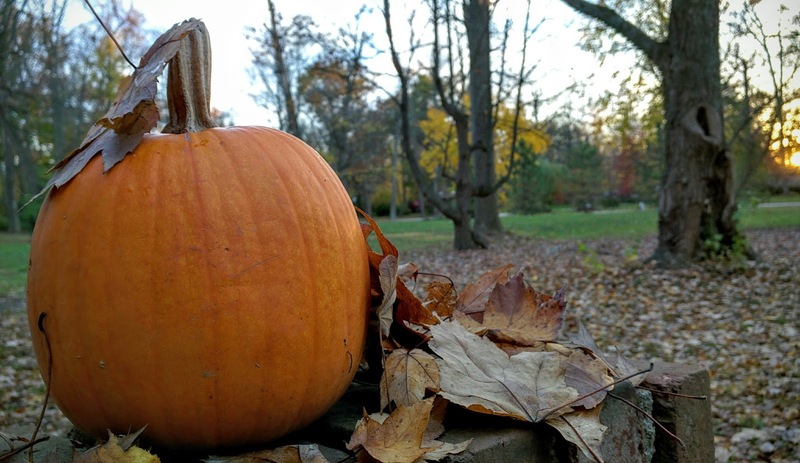 November has its perks as well. For starters, it's No-Shave November -- or "Movember" to some. So there's that. And you know what...go ahead ladies, you can participate, too! Let's see...oh! We can all celebrate the awesomeness that is the movie V FOR VENDETTA on November 5. "Remember, remember, the fifth of November." And least we not forget Thanksgiving! Duh! It's LESS THAN A MONTH AWAY! So see -- November isn't so bad. And hell, after that all of our Christmas countdowns will start. Those are always fun! So wipe away those Hallow een tears! Plenty of fun can still be had. My costume was pretty basic, but effective (at least I think so!). 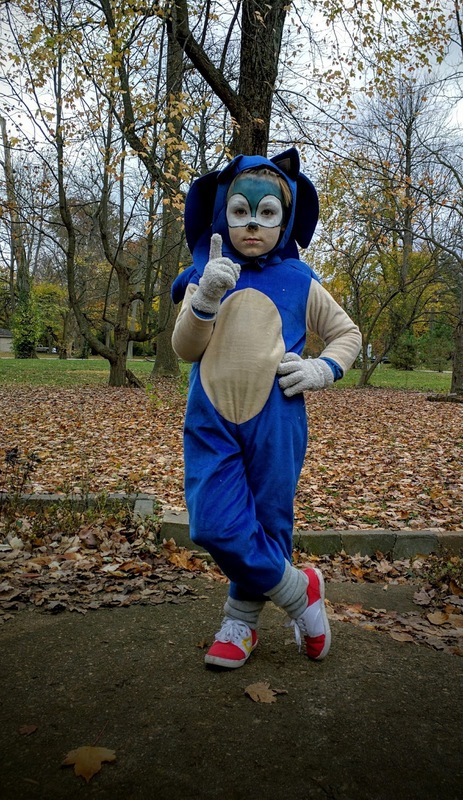 ...Sonic the Hedgehog. And admittedly, my his mother did a helluva job on that face paint I might add. 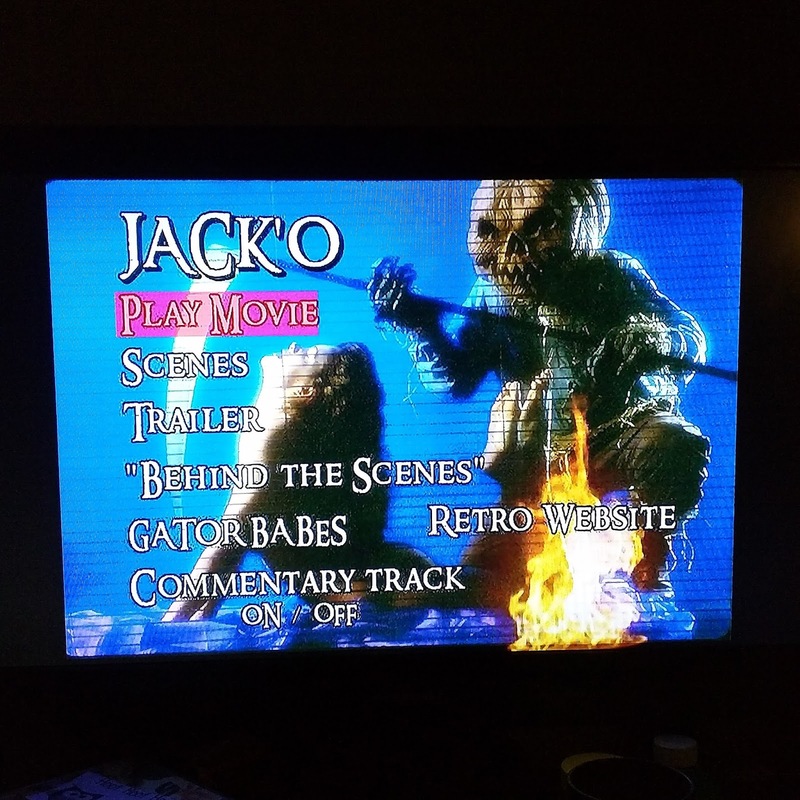 We capped the night off with a couple $5 pizzas from Little Caesars and our annual viewing of the infamous 1995 Halloween slasher JACK-O. It was a perfect ending to a perfect Halloween night. I hope yours was just as enjoyable! 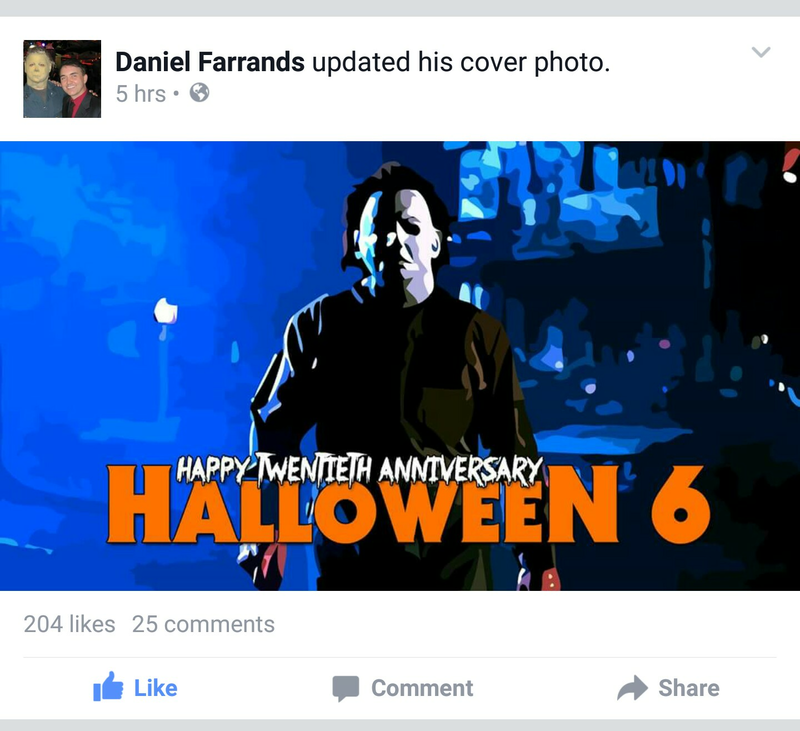 I even woke up this morning to see that HALLOWEEN 6 writer Daniel Farrands used my H6 pic as his cover photo! How awesome is that?! 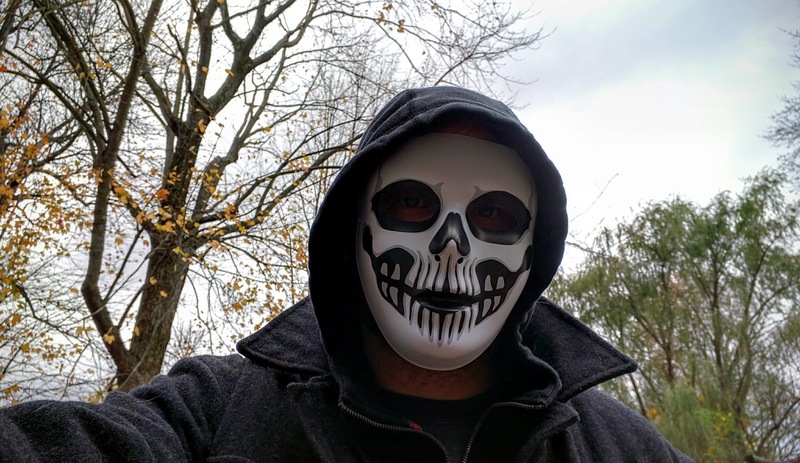 So here's to Halloween 2015! Another season in the books!